How To Claim Compensation For A Dog Bite Or Dog Attack? – Online Dog Bite Claims Guide – How Much Can I Claim? Wherever you go in the UK, and at whatever time of day, you’ll see somebody out walking their dog. They are probably the most popular pet and companion and, in most cases, well behaved. Unfortunately, in some very rare cases, a dog can become aggressive and bite, scratch or cause injuries without any provocation. If this has happened to you then you could make a claim for dog bite compensation by contacting Advice.co.uk today on 0161 696 9685 – we’ve got a team of specially trained staff who can begin the claim process with you right away. If you’d like to know more, before starting a claim, then carry on reading this useful guide. What Can I My Dog Attack Or Dog Bite Compensation Claim Include? What Should I Do If I Have Been Attacked By A Dog? Which Breeds Of Dog Are Banned Or Considered Dangerous In The UK? What Is The 1991 Dangerous Dogs Act And How Does This Relate To Compensation Claims? What Is The Law On Dog Bites And Dog Attacks? Who Do I Make A Dog Bite Compensation Claim Against? Can I Claim Compensation On Behalf Of My Child Bitten By A Dog? Can I Claim On Behalf Of A Family Member Attacked By A Dangerous Dog? Can You Claim Compensation If You Were Attacked Or Bitten By A Stray Dog? Can I Claim Compensation If I Suffered Tetanus Because Of A Dog Bite Or Attack? Can I Claim For Being Attacked And Bitten By A Dog At Work? My Dog Attacked Someone And I Don’t Have Insurance, What Do I Do? How Do I Make A Dog Bite Compensation Claim? As much as dogs are generally very friendly pets, there is the small potential that they can cause injuries to people for no reason. It could be a playful injury or a direct attack by the dog, whichever it is, you may be eligible for dog bite compensation if you were an innocent bystander who was injured by a dog. Some dog bites can be very serious and cause extreme pain as well as causing ongoing psychological issues which means it is only right that you should seek compensation for any dog bites if they weren’t your fault. This guide will provide information about what to do in the event of a dog attack, what sort of compensation you might receive, what diseases can be contracted following a dog bite, how to claim on behalf of a family member and how no win no fee claims can be lodged. If after reading the guide, you still have questions, please give our team a call and we’ll provide free legal advice about what your next steps should be with no obligation. Unfortunately, there’s no magic personal injury calculators that actually work, despite many websites claiming they have one! This is because every compensation claim is unique and the injuries sustained affect different people in various ways, so it’s impossible to calculate the full amount of compensation without understanding all of the relevant details (which a calculator never could). In the next section, we cover all of the different parts of the claim that can be made including one called “General Damages”, which is the part of the claim for pain and suffering. Hand Moderate £4,640 to £10,580 Including penetrating wound, lacerations and soft tissue damage and results in some sort of permanent disability. Face scarring Very Severe £23,740 to £77,580 The most severe scarring with very severe psychological impact and with a higher impact in younger claimants. This is compensation that is paid for the pain, suffering and loss of amenity caused by the injuries suffered. It is defined in ranges from minor to severe (see the table above) and your personal injury solicitor needs to demonstrate the exact severity of your injuries to ensure the correct amount of compensation is awarded. If you need to take time off from work to recover from your injuries, then you can claim for any lost earnings. If your injuries are so severe that you have to stop working or change jobs, then you can look to claim for future lost earnings as well. If you are unable to drive or have to change your usual travel arrangements for any period of time, because of your injuries, you could claim back any associated increase in costs. This could include using public transport or having to hire a different type of vehicle. While you’re recovering, you may incur medical expenses such as prescription costs which you can claim back providing, they are directly related to your injuries. There may also be cases where NHS services aren’t suitable to help your recovery, so the costs of private healthcare bay be claimed back (speak with your personal injury lawyer before arranging to take this on though). If, during the dog attack, any of your personal property is damaged, such as clothing, mobile phone or glasses, you can look to claim the cost of replacement or repair for the items. What is a dog bite / attack injury? Quite simply, any injury that you sustain because a dog attacked you or bit you, which wasn’t your fault. Essentially, you should not have provoked the dog in any way and if that is the case, you would be able to seek dog bite compensation for your injuries. Some injuries can be caused from falling because of the attack rather than the dog bite but can still be claimed as part of your compensation request. 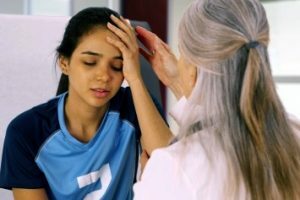 Some of the injuries listed can have long term consequences and may require long term treatment such as plastic surgery to help resolve them. First and foremost, you should seek medical treatment from a doctor or by visiting a hospital. This is essential to make sure you are treated fully and also so that medical records are made which show the immediate extent of your injuries. Ask the dog owner for their contact details including name, address, telephone number and email address. Photograph the scene of the attack and also photograph the injuries you sustained during it. Ask that any witnesses write down what they saw and include their contact details. Make a note yourself of what happened, including the date, time and location as it can be quite easy to forget specific details after the event. You may want to inform the police as well at the time of the accident if you believe a criminal act has occurred or that anybody else is at risk. These steps won’t guarantee that your dog attack claim will be successful but they will certainly increase the chances greatly. The Dangerous Dogs Act 1991 makes it illegal to own certain breeds of dog in the UK. It is a criminal act to own any dog that is on the list and if you’re bitten by an illegal dog then claiming for compensation should definitely be considered. If you believe the dog that attacked you is one on the banned list, then you should inform the police who may take it away from the owner. As mentioned previously, the Dangerous Dogs Act 1991 bans the ownership of 4 breeds of dogs (or dogs that are closely similar to them). It also prevents the trade, breeding and exchange of the dogs. With regards dog bite compensation claims, the chances of compensation could be increased if the dog is on the banned list, even without any history of aggression as, by the very fact it’s on the banned list, the owner should’ve known of the risk to others. UK law makes dog owners responsible for their pets and to keep them under control at all times. Dogs should be registered and ensure that it doesn’t create a nuisance in any location. The owner becomes responsible for any attack that the dog carries out and may be prosecuted by the police if they deem a criminal act has occurred. We use specialist personal injury solicitors to help with any compensation claims we take on and when somebody has been bitten by a dog on the banned list then the owner of the dog has automatically been negligent (one of the criteria for making a successful claim) as they’ve owned a dog that is banned. This also means that, by owning such a dog, they have broken the law and are very likely to be prosecuted. In most cases, dog bite compensation claims are made against the owner of the dog, whether it is a banned breed or not. As it is their dog, the law states that any attack is their responsibility. Other situations can be where a dog has bitten you in your workplace (you may work in an environment where dog interaction is common), in which case the claim would probably be made against your employer. If you’re in any doubt about how to make a new compensation claim, then you should call one of our specially trained advisers who will be able to assess your claim and work out who the claim should be made against. As with other personal injury claims, a responsible adult, parent or guardian can claim for a dog attack against their child so long as the claim begins within 3 years of the attack. This is allowed because children obviously are unable to begin legal claims themselves, but you can let them make the claim later on as if you decide not to make a claim yourself, then the child can still make a claim within 3 years of their 18th birthday. Under UK law, it is possible for a friend, parent, relative or other responsible adult to become a ‘Litigation Friend’ to help somebody make compensation claim for a dog bite or other injuries if the injured party doesn’t have the mental capacity to do this themselves. This could also happen if their injuries are so severe that they don’t have the ability to begin their own claim within the allowed time limits. Advice.co.uk can aid with the process of becoming a litigation friend, so if you would like to proceed down this route then please get in touch and let us know the situation. 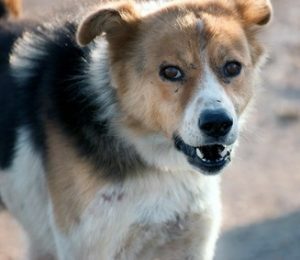 As you’d expect, claiming for a bite from a stray dog can be tricky but it may be possible. Firstly, it may be possible to trace the owner of the dog which would make claiming easier (speak with the dog warden about microchip or other identification if the dog was captured). You could also ask locally if any witnesses recognize the dog or know which areas it’s been seen in recently. Other avenues may be possible if the attack happened on a business premises or council run location but can still be complex so please get in touch so that we can assess your options with you, for free. A stiff jaw, making it difficult to open your mouth fully. If you suspect tetanus, speak with a doctor immediately and then call Advice.co.uk to discuss your claim. If you’re bitten by a dog that you’ve encountered, as expected, because of your work then you could make an accident at work claim against your employer. If the attack wasn’t something your employer could’ve expected to happen or mitigated for, then the claim may be against the dog’s owner as with other claims. To be sure, call our team for free legal advice on how your claim should be made. If you’re in the unfortunate position of having no insurance and your dog has bitten somebody, then please get in touch so that we can offer advice on what you should do. The best advice here is to call our team of specially trained advisers. We have many years’ experience in making personal injury claims so you can call up on our expertise, ask any questions you may have and let us assess the chances that your claim will be successful. We’ll guide you through the claim process and ensure you fully understand all of the options available to you. We offer all clients a free initial consultation before linking you to a no win no fee solicitor if we believe you have a good chance of winning compensation. It is important to note that any claim for dog bite compensation must be made within a 3 year time period from the date of the attack, otherwise the claim will automatically be rejected. An agreement where you pay the solicitor directly for their services and you’ll get 100% of any compensation awarded. A no win no fee agreement where the solicitor is paid a percentage of any compensation that they win for you (maximum 25%). Obviously with no win no fee you have to pay some of the compensation to the solicitor if they win your case but, if they lose, you don’t have to pay them anything at all for their service. However, if you choose the first option and the solicitor doesn’t win any compensation for you, you still have to pay them their full legal bill. This is why Advice.co.uk only work with no win no fee solicitors as we believe this is the fairest, easiest and most risk-free method of claiming compensation. When you contact Advice.co.uk you’ll speak with one of our friendly and professional team who are dedicated to providing accurate and free legal advice to help you decide whether to claim or not. Remember that you are under no obligation when you contact us and we’ll work with you throughout your claim to ensure you fully understand what happens next. Hopefully, now that you’ve read this guide about dog bite compensation claims, you’d like Advice.co.uk to begin your claim for you. Remember, we offer free advice for dog attacks that have happened anywhere in the UK, we only work with no win no fee solicitors and we are personal injury specialists that only work on injury claims. Or email, claims@advice.co.uk with brief details of your claim and we’ll call you back at a convenient time. Remember, we’ll start with a no obligation free consultation where we’ll assess your claim and let you know if we believe it has a good chance of winning compensation or not. If so, we’ll connect you with a personal injury solicitor who works on a no win no fee basis. The Dangerous Dogs Act 1991 – this is the legislation that prevents the ownership, selling or trading or specific breeds of dog which are deemed too dangerous. NHS Animal Bites – An NHS guide on what to do in the event of a bite from animals. NHS Tetanus Guide – Another guide from the NHS on the symptoms and treatment of tetanus.